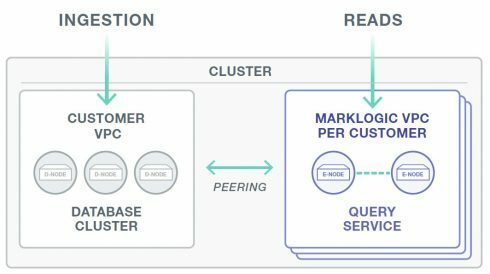 MarkLogic wants to help users achieve scalability in the cloud with the release of the MarkLogic Query Service. The service is a cost-effective way to query various workload demands without overprovisioning, the company explained. According to MarkLogic, user demand varies over time and is unpredictable. The query service is meant to automatically add and remove query processing capacity to a database cluster as demands rise and fall, and provision the appropriate resources. The service leverages the company’s existing architecture for handling ever-changing demands. The architecture was built to separate query activities from storage activities, the company explained. Storage activities typically slow down database scaling and can be costly, but with separate storage functions the company is able to quickly add query capacity to a cluster. “This elastic query capacity is provided as a fully managed service, eliminating the need for setting up and managing the underlying infrastructure required to scale capacity. You can better control costs, reduce the time to implement a solution, and provide a better experience to end users,” according to the service’s website.